The repeal of Net Neutrality is a hot topic in America, though for some it can be very difficult to understand. 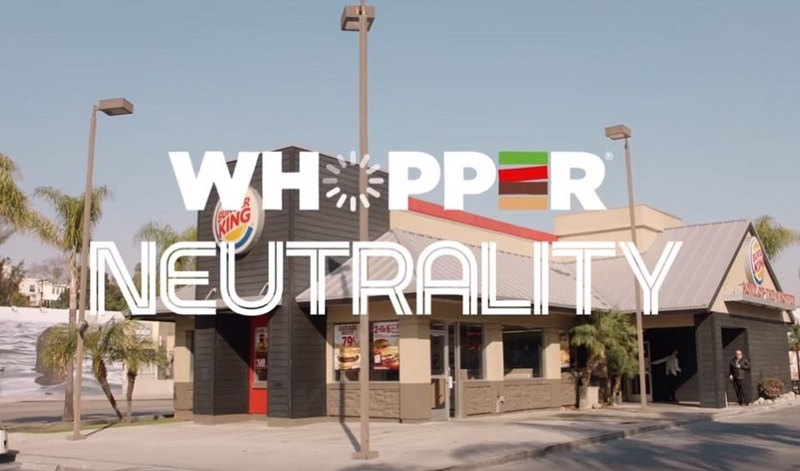 To help people see how the repeal of Net Neutrality could impact them, Burger King created a clever experiential stunt which puts the concept into a real-life, relatable situation; ordering a Whopper at one of its restaurants. 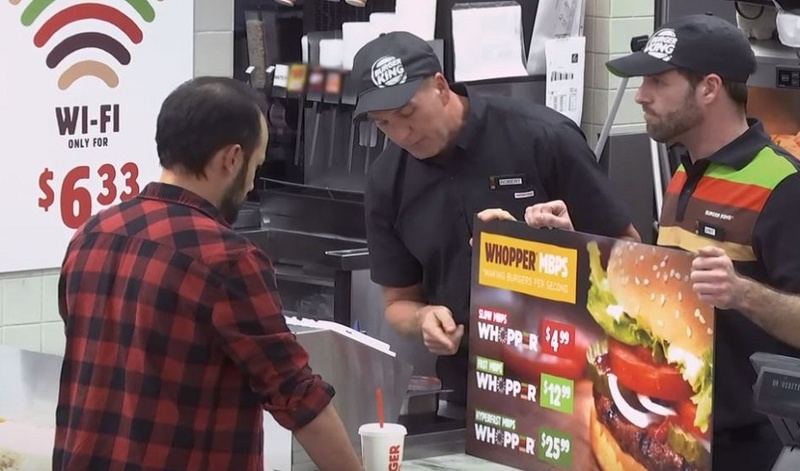 In the secret camera style video, Burger King staff, played by actors, give the customers options for how quickly they can receive their burger. Those paying the lowest price – $4.99 – are told to wait 15 to 20 minutes for theirs, whereas those willing to splash out $26 will be put into the fast lane and get their Whopper straight away. The reason customers are told is that the extra fee allows for a higher MBPS (making burgers per second) speed; a clever take on the real MBPS – mega bites per second. The campaign reflects one of the biggest fears about the repeal of Net Neutrality – the possibility of ‘fast and slow lanes,’ which refers to deliberate regulation of internet content. When the 15 to 20-minute waiting time is almost up, the cheeky cashiers even hold the burgers in their hand while checking their watch – only handing the burger over after the last second. In the video description, Burger King says, “The BURGER KING® brand believes the Internet should be like the WHOPPER® sandwich: the same for everyone.” Customers are then directed to sign a petition to help keep Net Neutrality safe. The activity certainly got people talking. It received wide spread global news coverage including Time.com, TODAY.com and Bloomberg and a lot of chatter across social media. Either way the campaign was certainly effective in raising awareness of the issue with its customers and making the concept easier to digest. 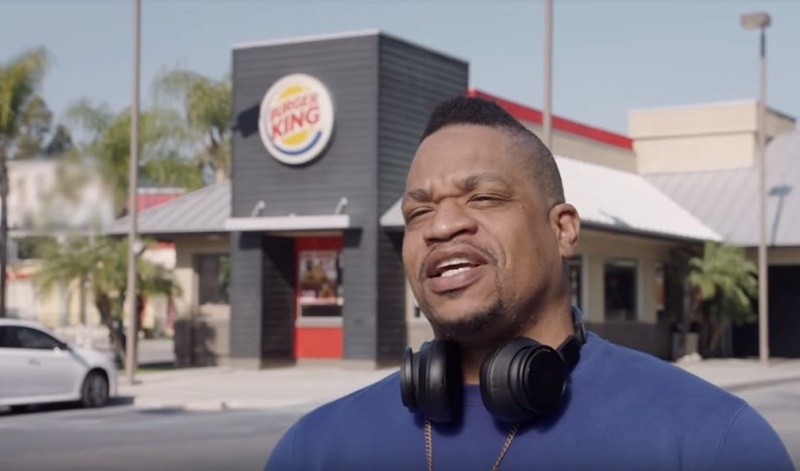 Burger King recently got under the skin of another social issue and delivered a powerful anti-bullying experiential video which also used hidden cameras to capture the shocked reactions of their customers.